Allegations of abuse at a Christian school have raised difficult issues of accountability. 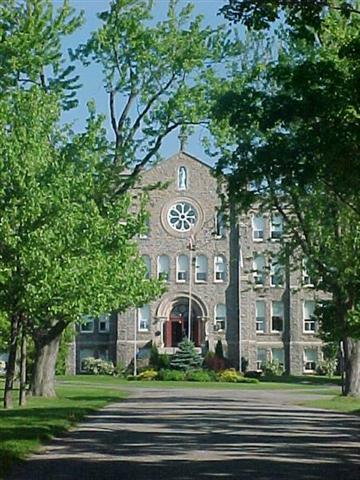 Grenville Christian College began operating as a private Christian boarding school in Brockville, Ontario in 1970 but closed this year after former students began making allegations of abusive practices. According to a series of articles by Michael Valpy in the Globe and Mail, the school changed direction in 1973 when Mother Cay and Mother Judy — leaders of the Community of Jesus, a “cult” based in Rock Harbor, Massachusetts — were invited in as consultants. Under the influence of ‘The Mothers,’ the school was reorganized according to the principles of the Community of Jesus. These included strict obedience, close surveillance, harsh punishments and a rigid application of morality — even though the Mothers themselves apparently were in a lesbian relationship, drank heavily and engaged in loud arguments. A defining practice were “light sessions” in which individuals were singled out and ordered to confess their sins. The allegations of abuse mostly relate to these practices. Students have said the strict control and light sessions amounted to psychological abuse. They have also complained about punishments such as being beaten with wooden sticks and being forbidden to talk to other students. There have even been a few allegations of sexual abuse. The complaints mostly relate to the years when Charles Farnsworth was headmaster. He retired in 1997. While there were rumours of problems from the beginning, the school was generally seen as an elite, upper class school whose students excelled in academics, sports and the arts. The school was also often seen as an Anglican school even though legally it remained fully independent and was run by its own board. The school was perceived as Anglican partly because the Mothers had suggested that the school chapel follow the Anglican Book of Common Prayer, to give the services some structure. Two of the school’s leaders, Alistair Haig and Charles Farnsworth, also obtained ordination as Anglican priests. Because of this connection, some complainants argued that the Anglican Church of Canada should take some responsibility for the abuses. The Church at first refused to investigate, arguing that it had no responsibility for the school. However, George Bruce, Bishop of Ontario, later initiated an investigation into allegations against officials at the school who had been ordained as Anglican priests — since the Church does have direct responsibility for the credentialing of clergy. That investigation was later suspended when some former students initiated a class-action lawsuit. The Ontario Provincial Police have also begun an investigation. Linda Nicholls, Coordinator for Dialogue for Ethics, Interfaith Relations and Congregational Development for the Anglican Church of Canada, told CC.com the Grenville story is cause for reflection on how the Church should handle situations where it has an arms-length relationship with some external organization or ministry. In addition to ministry in schools and other charitable organizations, Anglican priests also serve as hospital and military chaplains. Fortunately, Nicholls said, Anglican dioceses have clear disciplinary canons, or church laws, for investigating and dealing with allegations of ministerial impropriety. In serious cases — when charges are made concerning sexual abuse of embezzlement, for instance — a priest is immediately suspended, to protect both victims and the accused, in case the accusations prove to be false. However, since bishops can’t be in every church and there are few regular interventions, usually “the only way a bishop knows something is not right is if someone complains,” Nicholls noted. This generally works well, since “Anglicans are fairly forthright” about taking complaints to the bishops, except for those dealing with difficult issues such as sexual abuse. The Anglican Church deals with problems “immediately and very strongly,” said Nicholls, partly because it has learned from the abuse that occurred at aboriginal residential schools, when it did not always act immediately and forcefully. Sometimes, said Nicholls, it is harder to deal with theological discipline. Bishops have responsibility to “guard the theological boundaries” and will always respond “when someone complains about a heretical sermon.” However, “Anglicans have a theological breadth” and it is sometimes “difficult to tell” whether something has crossed theological boundaries, particularly in areas related to practice. A private religious school that charged up to $35,000 a year for tuition has abruptly closed its doors amid allegations of sexual improprieties and cult practices. Citing rising costs and a drop in enrolment, officials at Grenville Christian College, which sits on one square kilometre on the edge of the St. Lawrence River town of Brockville, Ont., announced at the end of July it would close. Students who attended the school over a period dating back to the 1980s paint a picture of a bizarre environment, involving so-called “light sessions” where teenagers were ordered from their beds in the middle of the night, made to sit in a dark room with a bright light shining on their face and accused repeatedly of being sinners by teachers and staff they couldn’t see. The Right Rev. Peter Mason, the retired bishop of the Anglican diocese of Ontario, which includes Brockville, said he had heard allegations from former staff members of cult behaviour at the school but had not been aware it involved students.